In the fall of 1897, Kraenzlein came to the University of Pennsylvania as a student in the Dental School. He became a member of Psi Omega dental fraternity and the Edwin T. Darby Dental Society, but his primary extracurricular activity centered on the track and field. 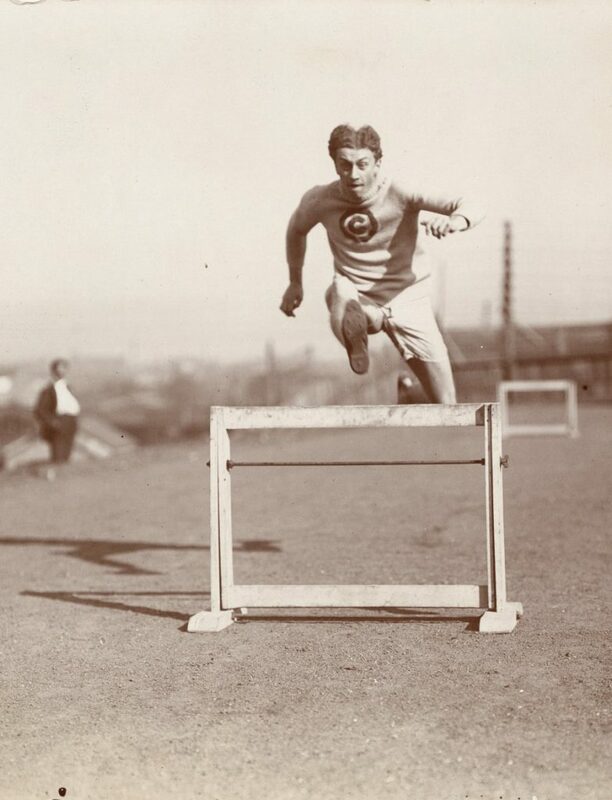 During his tenure at the University of Pennsylvania, Kraenzlein set world records for the 120 meter high hurdles and the 220 meter low hurdles; he developed a new form of gliding over the hurdles, clearing the hurdles with the lead leg extended, which became the standard technique for modern hurdlers. By the time Kraenzlein graduated from Penn, his versatility and skill had helped the Red and Blue win four straight intercollegiate championships while setting records in the process. His records in the hurdles would last for decades both on the intercollegiate and world level and many of his feats would live on in Penn track and field lore. 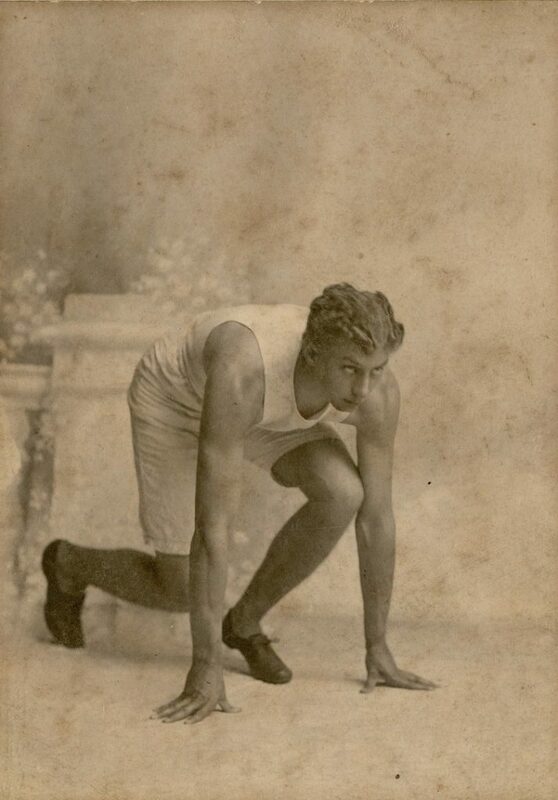 As a member of the Penn track teams of 1898, 1899, and 1900, Kraenzlein set nine records in intercollegiate and Olympic competition. In the 1900 Olympic Games, Alvin set a record by winning four individual gold medals: the 60-meter run, the 110 meter hurdles, the 200 meter hurdles, and the long jump. This feat would not be duplicated until Jesse Owens won four gold medals at the 1936 Olympics in Berlin. Kraenzlein’s record accumulation of 18 points at the 1900 Intercollegiate Championships, propelling the Penn team to another victory in that arena, was just as noteworthy as his Olympic achievements in the eyes of his contemporaries. After receiving his dental degree in 1900, Alvin coached track teams at Mercersburg Academy and the University of Michigan and led both teams to very successful programs. In 1913 he signed a five-year contract to coach the German Olympic team for a reported salary of $50,000. Kraenzlein did go to Germany under the contract to begin training the Kaiser’s Olympic team and lived in Berlin until the Kaiser warned him that war was going to break out and it would be wise to leave. He returned just before the war broke out. After the war his coaching positions included time with the Cuba track and field team. In August of 1927, Dr. Kraenzlein fell seriously ill with heart disease and within five months, on January 6, 1928, in Wilkes Barre, Pennsylvania, he succumbed to his illness. Upon his death he was still revered as the best athlete ever to wear the Red and Blue of the University of Pennsylvania and, in some people’s view, the best athlete of their time. Alvin Kraenzlein married Claudine Gilman, daughter of the artists Claudine Scott Gilman and Benjamin Ferris Gilman, in 1902. They had one child who lived to adulthood — Claudine Gilman Tvede.